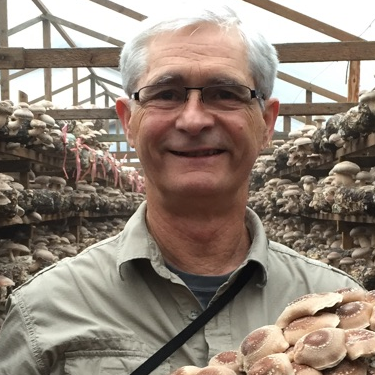 Jeff Chilton studied ethnomycology at the University of Washington, is a founding member of the World Society for Mushroom Biology and Mushroom Products, and a member of the International Society for Mushroom Science. His company, Nammex, was the first to offer a complete line of certified organic mushroom extracts to the U.S. nutritional supplement industry. Nammex organic mushroom extracts are used by many supplement companies and are noted for their high quality based on scientific analysis of the active compounds.